« Going , Going … gone ? There is a common misconception that vinyl just naturally gives a “warmer” sound. Of course in reality if you use a digital master it will sound no better than a CD. More importantly an awful song on vinyl will still be dreadful. A great song will be great on any format. A vinyl sleeve is the perfect “shop window” for a band and it should never be underestimated the importance of a band’s name or its album and song titles but vinyl itself is not cool. What matters is the music. It was bad enough when the focus of Record Store Day went from supporting independent shops to buying vinyl but now the focus seems to have switched from the music itself to the format it is presented on. 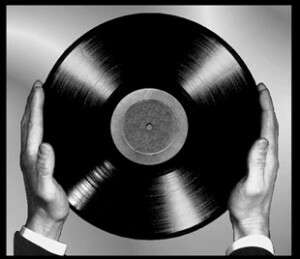 While I’m always happy to talk about music and especially new music at least 80% of customers’ conversations these days now seems to revolve around “I see vinyl is making a comeback”. It is clear that many have no problem with this trend and while I’m all for young people in particular discovering older music, in fact I would encourage it, however if that is all there is then along with other factors (of which more later) it will be impossible for a new generation of musicians to come through with anything but the most minimal success.